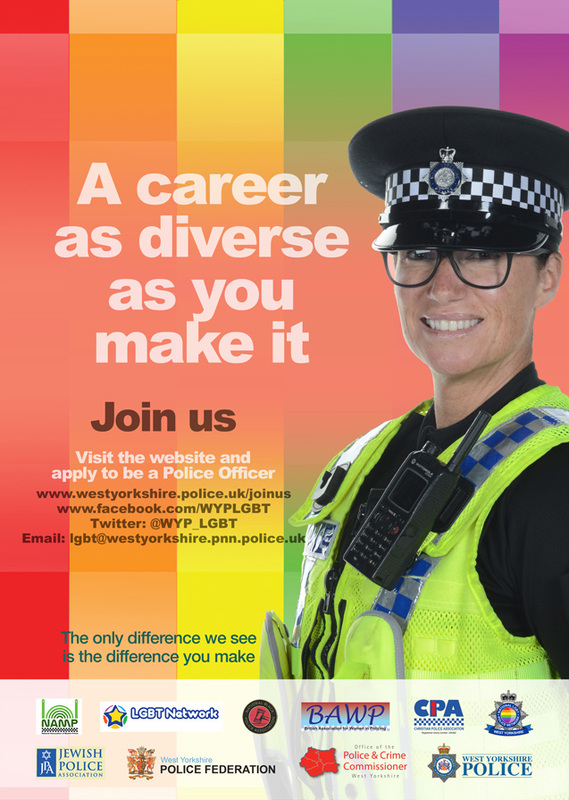 West Yorkshire Police is dedicated to serving all communities well and we recognise there are bespoke needs in the service we provide to lesbian, gay, bisexual and transgender+ (LGBT+) people. We strive to improve our services in consultation with LGBT+ community members, police officers and police staff to make sure that when LGBT+ community members contact us they are treated with fairness, integrity and respect. To help achieve this every member of staff is doing LGBT+ training designed by LGBT+ people. 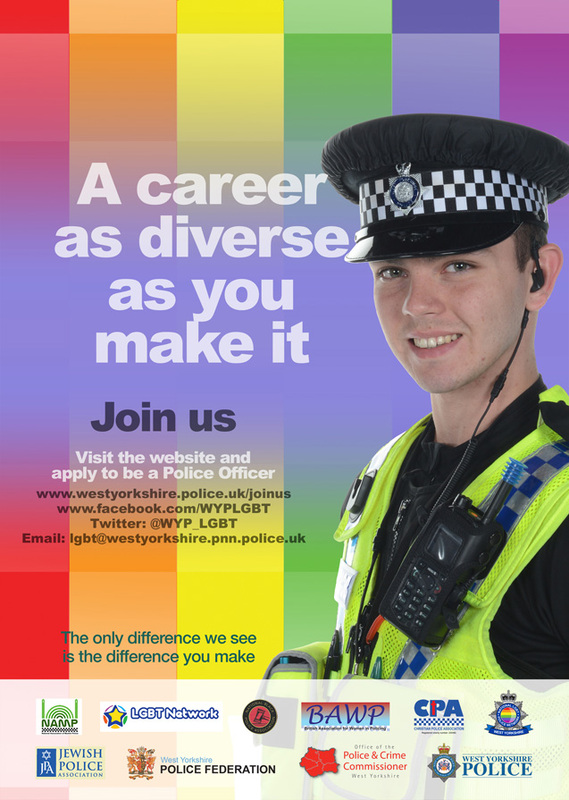 You can follow our progress on LGBT+ issues on Facebook (@WYPLGBT) and Twitter (@WYP_LGBT). One of the Force’s Equality Objectives is to tackle homophobic, transphobic and biphobic language and bullying in schools. We are doing this because there was been wide support from LGBT+ and non-LGBT+ people to do so; we share their vision that school is place people should to learn, not to be scared. We take pride in the intrusive scrutiny we place our LGBT hate crime under to make sure our handling of these troubling offences is constantly improving. LGBT+ people should be able to live and visit in West Yorkshire proud of who they are and who they love. Tackling hate crime is a priority in our Police and Crime Plan because of the impact these offences have on the LGBT+ community. West Yorkshire Police is determined to be an organisation representative of the communities it serves. Victims of crime come from a wide range of communities with a wide range of experiences and so it is essential our officers and staff are just as diverse. 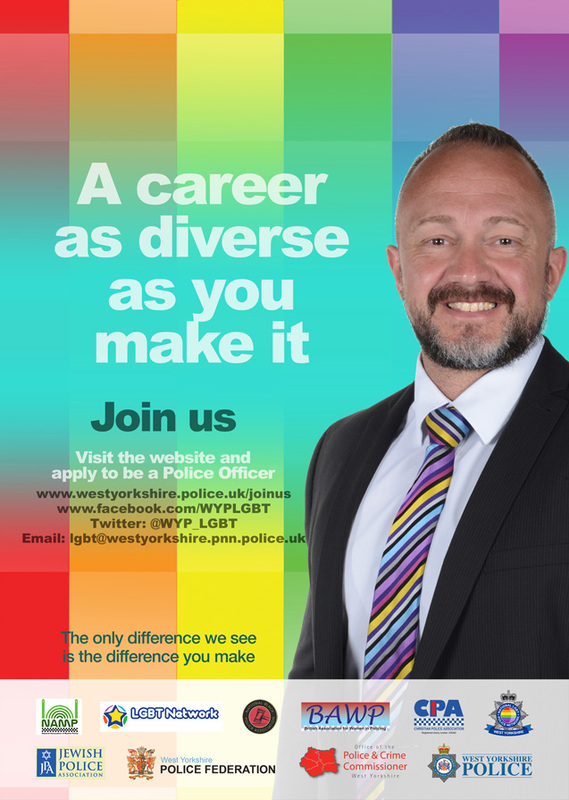 We have a positive action programme in place which is designed to ensure we are representative of our LGBT+ community, so if you are interested in joining our organisation as a Police Officer, Police staff member, Special Constable or Volunteer please register your interest here and then email our LGBT staff network who will be able to offer some guidance to application processes. The LGBT Network is a group of LGBT+ officers and staff who look out for each other, helping with professional and career development, improving our services and employment, and providing personal support when needed. Safe In Safe Out is our LGBT+ community safety and engagement project. It was set up to consolidate our work with LGBT+ people in the wake of significant international events such as the Orlando terror attack in 2016 and is both a consultation and communication network through which we will make the LGBT+ community safer and feel safer.